"The Paradox Of The Flame", the new video from Swedish metallers EVERGREY, can be seen below. 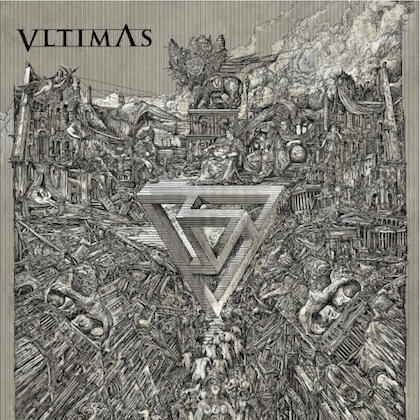 The clip was directed by Patric Ullaeus of Revolver Film Company, who has previously worked with DIMMU BORGIR, LACUNA COIL, IN FLAMES, SONIC SYNDICATE and KAMELOT, among others. "The Paradox Of The Flame" is taken from EVERGREY's new album, "The Storm Within", which will be released on September 9 via AFM. Says the band: "'The Paradox Of The Flame' is the second of a series of videos we have shot for 'The Storm Within' album. 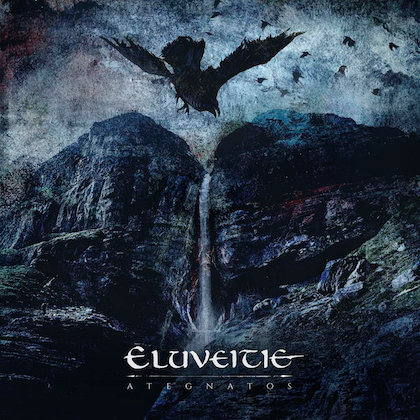 "Working very closely with Patric Ullaeus and Revolver Film Company, our aim was to recreate the eerie and desolate sense we had while writing the songs for this, the tenth EVERGREY album. One could say this is our first real attempt at inviting everyone into the cinematic world where we have been in mind and thought throughout this year while writing. We think the imagery speaks for itself. This is just the beginning. The storm is coming." While this may come off as music industry lip service in honor of the quintet, anyone who has followed EVERGREY will find it impossible not to become completely enthralled by the music on "The Storm Within" within the space of the first listen. The band's trademark progressive, dark and melancholic elements are as strong as ever, the album ranks as one of the most progressive record they've created in terms of performance, but EVERGREY managed to put it in a package that is more accessible and direct compared to any of their nine previous outings. Frontman/founder Tom S. Englund credits EVERGREY's learning-by-doing over the past two decades for the feel of "The Storm Within", in particular their all-important "Hymns For The Broken" record from 2014, which saw a revitalized EVERGREY lineup return with a new energy. 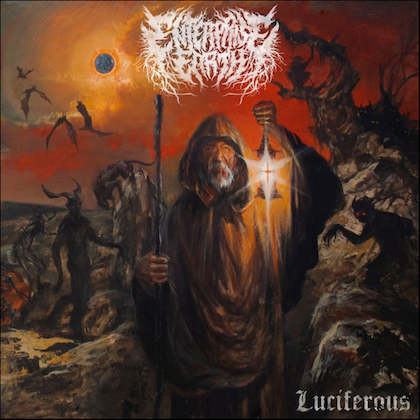 "We went from having no intention of making an album at all to having all the inspiration in the world on 'Hymns For The Broken'," says Englund. "Honestly, we've never felt better. 'The Storm Within' is a massive album. There are no fillers on it and we've never been about that. I think the inspiration speaks for itself." EVERGREY's lyrics have always matched the depth and intensity of their music, and the concept behind "The Storm Within" is no exception. 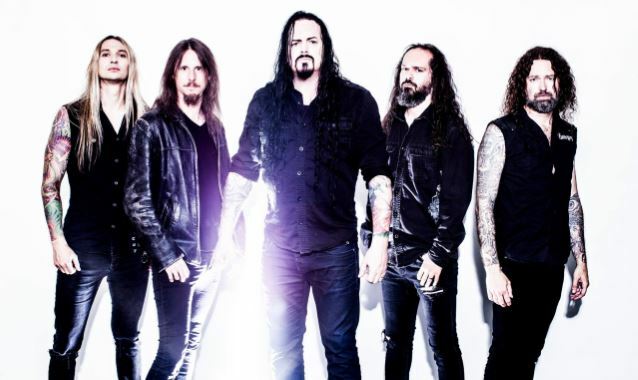 Englund considers the storyline behind the lyrics to be one of the biggest concepts EVERGREY has ever tackled, based on something that everyone can relate to; having someone, losing them, and having to pick yourself up and move on. He goes so far as to call it the band's first "love" album, but it's not a subject that should be taken lightly in the EVERGREY universe. "As usual, the lyrics are based on someone or some event in my life," says Englund. "When we were making this album a lot of these relationship issues were going on around me; people losing a partner or a loved one and grieving. 'The Storm Within' is about a search for identity, trying to make yourself full when you feel half empty, and I placed that storyline in an interstellar world." 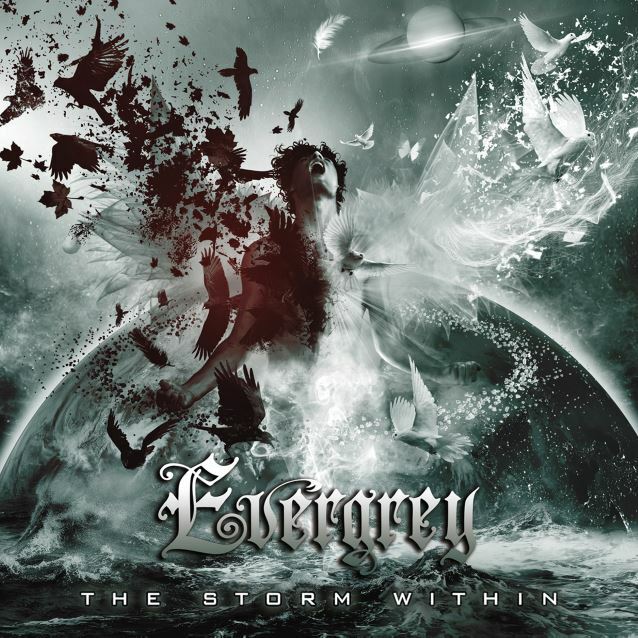 Musically, "The Storm Within" plays to EVERGREY's trademark prog metal attack but it's loaded with double-take moments. Lead-off track "Distance" is a surprise lead single (and first video), the melodically and lyrically stunning "Passing Through" is destined to become a fan favourite, "My Allied Ocean" is one of EVERGREY's most aggressive songs to date, and the epic title track makes for the perfect album closer in the tradition of Devin Townsend or RUSH. The addition of NIGHTWISH vocalist Floor Jansen on "In Orbit" is the icing on an already filling cake. "That was actually my wife (Carina Englund) thinking for me," Englund says of Jansen's involvement. "Floor is a personal friend and major EVERGREY fan, so it was over a glass of wine between her and my wife, who asked her if she wanted to do the song. 'In Orbit' is a powerhouse of a song and it would be easy to make it the first single, but it's not the first impression we want to make. That said, it would be stupid not to release it as a single, and if we could get Floor to do the video, that would be a home run." Speaking of Englund's better half Carina, she reprises her ongoing role as EVERGREY's secret weapon on every album since they began, contributing vocals this time out to the song "The Paradox Of The Flame". In addition, EVERGREY renewed their partnership with critically acclaimed video director Patric Ullaeus for "The Storm Within", fulfilling the band's vision of creating the most cinematic album in their catalogue. Three stellar clips were shot and, in a huge promotional push, are slated to hit the internet leading up to the official album release. Englund is proud to have "The Storm Within" represent EVERGREY's all-important 20th anniversary, although he freely admits he didn't take note of the landmark occasion until the album was well underway. "I had a goal when I started EVERGREY; I wanted to make 10 albums and that would fulfill my life plan. That's not something I ever thought I would accomplish. It's quite an amazing thing to be a band for 20 years and release albums that aren't sub-par. When I realized we'd done 10 albums in 20 years, it was mind-boggling. I'm proud to say that out of all the albums we've released over the last 20 years, we've never released one that we didn't feel was the best we could do at that time. That goes for every song, every note, everything. That's why we don't do anything half-assed."